Great image and such a lovely colour. Such a beautiful pastel pink! Ah, winter is turning into spring already! Beautiful sign of it, and I look forward to the seasonal change for my next trip! 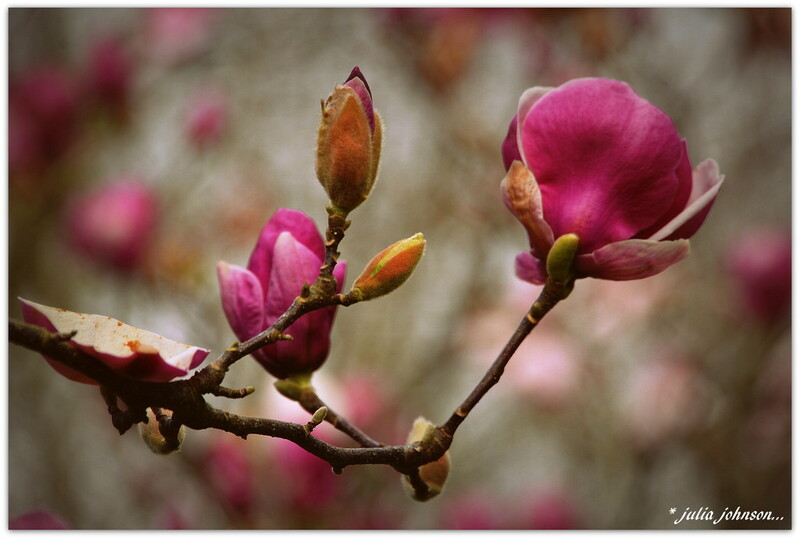 I love seeing the magnolias welcoming the Spring. I like this composition . Lovely composition, such a beautiful shot. Love this shade of magnolia, the White is nice but this one pops! What beautiful colours. Hope you're keeping well Julia. Beautiful flowers. Such a lot of 365ers getting together recently. They are such thick petals and a gorgeous colour! Always think its funny without leaves!